Jennifer Lopez, Shakira and Ricky Martin are to spice up the official 2014 soccer FIFA World Cup album. 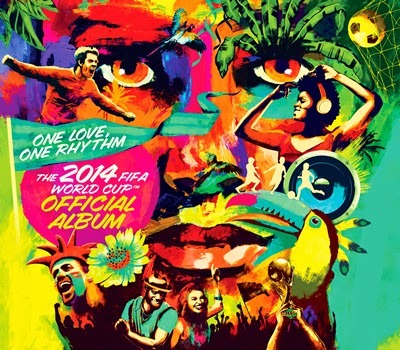 One Love, One Rhythm: The Official 2014 FIFA World Cup Deluxe Album is out on May 16. Latin American rocker Carlos Santana, hip hop artist Wyclef, Swedish DJ Avicii and Brazilian singer Alexandre Pires have teamed up to record the official World Cup anthem We Will Find A Way. They will perform the song for the closing ceremony on July 13 at Maracana Stadium in Rio de Janeiro. The album begins with We Are One (Ole Ola), which Lopez performs with rapper Pitbull and Brazilian pop singer Claudia Leitte at the opening ceremony on June 12 at the Arena de Sao Paulo. It also features Martin's Vida (Spanglish version) and Shakira's La La La (Brasil 2014), featuring Carlinhos Brown.